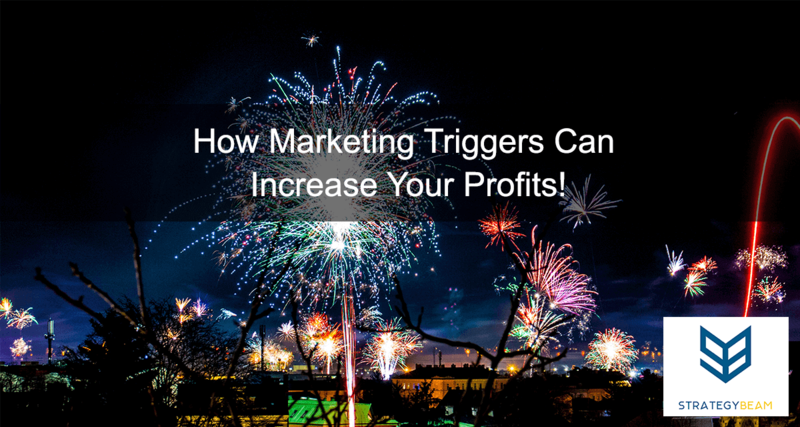 How Marketing Triggers Can Increase Your Profits! Would you like to know a way to get more customers who want to buy your products and services? There is no magic or trickery – but there is a little psychology involved. You just need to know what triggers your customers have when they think about your products and services. Triggers are mental associations that occur in the unconscious part of our mind. This occurs in your brand, my brain, and your customers’ brain when they think about your products and services. This process happens thousands of times a day for all sorts of things. It also occurs during the decision-making process when people consider your products and services. When a firefighter sees a fire, their minds are triggered to run into the burning house and save people. This is because they associate pleasure and duty with fulfilling a mission and assisting civilians. When a child is sick, a mother will do whatever she can to make her child feel better. This is because the mother is compelled through biology and motherly love to protect her child. When dealing with financial hardship, men think about ways to provide for their family. This is because men are hardwired to be providers and deliver physical necessities to their family. The choices your customers make are heavily influenced by their preferences. Much of the decision-making process occurs without even thinking about the situation at hand. This process increases efficiency for the brain, but it also provides you with a marketing opportunity. To use a trigger in marketing, you must first understand who your customer is and how they make associations with pain and pleasure. Your efforts will be worthless if you don’t know this information because not everyone associates pain and pleasure the same way. Differences can be based on many things like age, gender, etc. You can learn about the factors your customer have by segmenting the entire population into smaller groups. Once you know how they associate pain and pleasure, think about what their needs and desires are. Your messaging will reflect what they want and how they get there. This way you can place your products and services as a way for them to meet their goals. Another way to use triggers is to associate your products and services with actions your customers are already using. This makes your solutions a no-brainer for your customer. Pulling this off is not magic, but you do need to think through your customer’s entire interaction and lifecycle. By placing yourself as a natural associating to their daily routine, you are able to grow your influence. This is because your product will be like “peanut butter and jelly” and the association between their problem and your solution will not require any marketing. Your customers will immediately think of your products and services to meet their problem. It’s not easy to find opportunities to have your customers associate your products and services with their daily lives. However, if you are able to trigger your customers to think about you as they think about their needs and desires you will be able to grow your business and revenue with ease. Who is your customer? What is their demographic? What are the main needs and desires of your customer? What are the best features of your products and services? How do those features add value to your customers? How do they meet their needs and desires? What products and services do you offer that are beneficial/sought after by your customer? What does your customer consume that could be associated with your products and services? How do you want your customers to interact with your products and services? Your customers seek solutions that meet their needs and desires. You can use psychology to draw them to your products and services. Always keep your customers at the top of your mind. Think about their needs, wants and expectations. This will help you see your products and services in relation to their desires. In turn, you will be able to build triggers that will make your customers think of your solutions to their problems. Now it’s your turn. How do you use triggers to create content and attract customers to your business? Let us know in the comments below!